My name is Rivers J. Morrell, III and I have more than 35 years of law experience in personal injury law matters with a notable record of success winning numerous million dollar settlements for my clients. 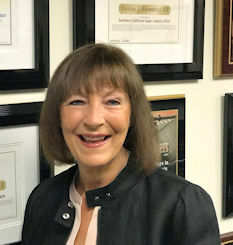 I began my career by representing major insurance carriers, so I’m familiar with their objectives, the manner in which they approach their cases, and the strategies that are most successful to ensure my clients receive the best possible outcome in their case. The combined experience in representing both sides gives the firm a more accurate and credible view of litigation, an important edge in winning your case and maximizing your award. Please review the comments of our clients, our peers, and the recommendations of the legal industry. They will help to provide additional information about my background, legal skills, and the quality of representation you will receive. You will work with me personally throughout your case, and will find that I am easily accessible and responsive to any question you may have. Tuan Ho is an Associate Attorney at the Law Firm of Rivers J. Morrell III. Mr. Ho’s practice focuses solely on the prosecution of personal injury matters, including but not limited to serious injuries arising from automobile accidents, motorcycle accidents, slip and fall incidents, dog bites, dependant adult and elder abuse/neglect, wrongful death and survivor actions, sexual assaults and other intentional acts. Since 2003, Mr. Ho has predominantly represented Plaintiffs in such personal injury matters. He has successfully tried and settled personal injury matters worth millions of dollars on behalf of Plaintiffs in numerous Southern California venues, including but not limited to Orange, Los Angeles, San Diego, Ventura, Riverside and San Bernardino Counties and received a jury verdict in Kern County in excess of $1,698,000.00. Due to this verdict, Mr. Ho became a member of the Million Dollar Advocates Forum. Mr. Ho was either the primary handling attorney or senior trial counsel in settlements and/or jury verdicts in the following examples: settlement of $3,900,000.00 within 6 months of injury causing incident; settlement of automobile accident for $150,000.00 when initially defense denied any liability and offered no monies; premise liability jury verdict of $107,000.00 after defense offered only $5,000.00 up through trial; automobile accident jury verdict after defense offered only $15,000.00 up through trial; settlement of automobile accident when initially defense denied any liability and offered no monies. Mr. Ho also has experience defending trucking and retail clients in personal injury claims. Due to Mr. Ho’s experience on both sides of personal injury litigation, he has a broad and expansive understanding of the economics and other driving factors to maximize the value of any personal injury matter. 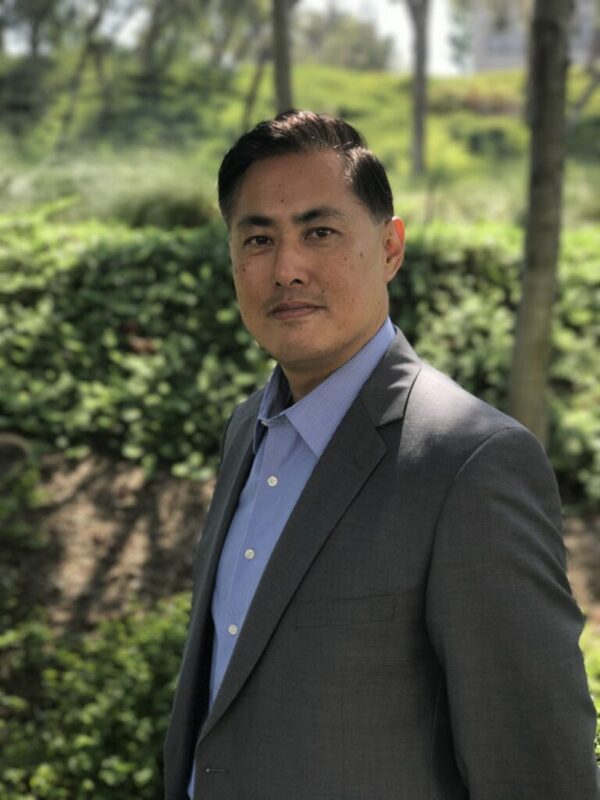 Mr. Ho has been a member of the Consumer Attorney Association of Los Angeles, Orange County Trial Lawyers Association and the Vietnamese American Bar Association of Southern California. Jeannette is the office legal assistant who does all of the support work for the attorneys. She finalizes all letters, and pleadings, that are filed with the court. She works with the client to coordinate meetings, and deposition dates. She works with the courts to make sure that things are filed properly. She coordinates with opposing counsel on depositions, extensions of time, and other legal matters. She also will answer the phone. Jeannette also enters all costs that are incurred in the handling of the case, by outside vendors, such as the court filing fees, subpoenas, experts, etc. 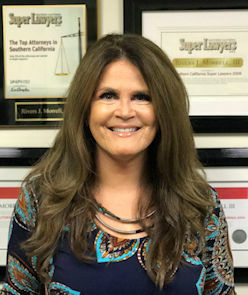 She is generally very familiar with all cases, and if the client has questions about his or her case, she is generally able to provide those answers. Laura works on all cases. Her primary responsibility is to make sure that the client is happy, and his or her concerns are met and addressed. She is also responsible for obtaining copies of all medical records, and all medical bills. This is a very demanding job, as it is very difficult to get the medical providers to provide this material. She prepares the letters to the providers, and then has to do multiple follow up calls to get these records and bills. Each of these providers has to be paid for them to provide their records, and bills. Laura prepares those checks, along with the necessary letters. She also will subpoena records that we may need. Laura is also generally very familiar with the cases, and will also answer many questions about the file. When the case is settled, Laura also writes the checks to the client, the law firm, and the outside vendors who are owed money on the case. Beth is the office paralegal. She is responsible for providing responses to all discovery that is propounded by opposing counsel. She will interface with the client to make sure that the discovery responses are done timely, and properly. In all cases, once the litigation has started, the opposing party will send out discovery (written questions, and written requests for documents). She will calendar all due dates for this discovery. She will be the point of contact for the answers to the written material that is sent by opposing counsel. Discovery is how the opposing side learns about the client’s injuries and claims. She is also responsible for organizing all of the medical bills that have been incurred by the client. We are required to calculate how much was paid to the medical providers, as opposed to how much was billed. This is often a very difficult task, as sometimes the bills are unclear as to what was paid. She also will find out whether or not the medical provider is part of a “capitated” account, which again is often a difficult task.